The Goddess is worshipped as the spiritual force called “Durga”, also known as Kali, in order to destroy all evil and to grant boons. 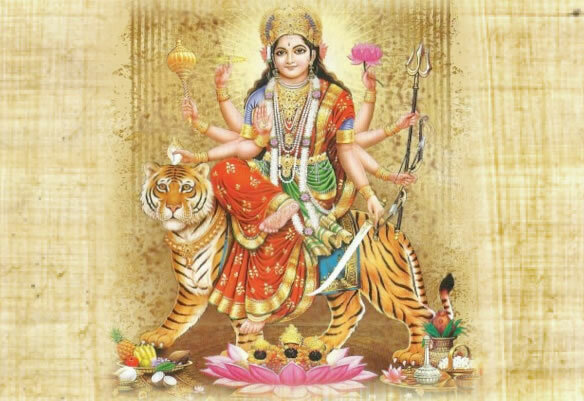 Durga, meaning “the inaccessible” or “the invincible”, is the most popular incarnation of Devi and one of the main forms of the Goddess Shakti in the Hindu tradition. 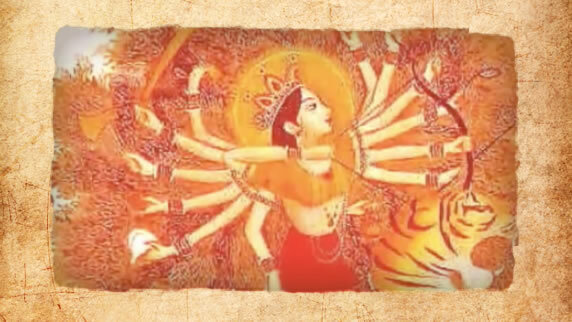 Durga is the original manifested form of Mother Adi-Parashakti. The Mother is adored as the giver of spiritual wealth, Lakshmi. 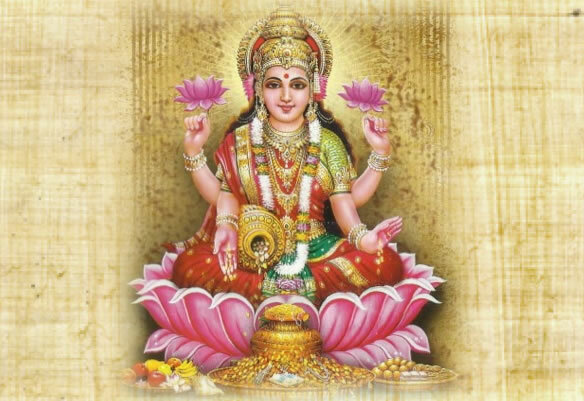 Lakshmi is the Hindu Goddess of wealth, love, prosperity (both material and spiritual), fortune, and the embodiment of beauty. She is the wife of Vishnu. Also known as Mahalakshmi, she is said to bring good luck and is believed to protect her devotees from all kinds of misery and money-related sorrows. 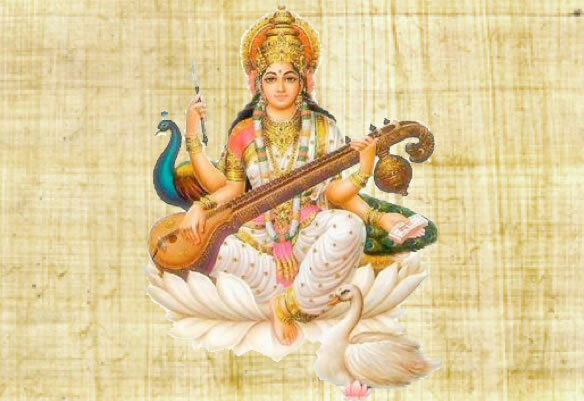 The final set of three days is spent in worshiping the Goddess of wisdom, Saraswati. In order to have all-round success in life, believers seek the blessings of all three aspects of the divine femininity, hence the nine nights of worship. In some parts of South India, Saraswati puja is performed on the 9th day. Weapons, agricultural implements, all kinds of tools, equipments, machinery and automobiles are decorated and worshipped on this day along with the worship of Goddess. The work starts afresh from the next day, the 10th day which is celebrated as “Vijaya Dashami”. During Navratri, some devotees of Durga observe a fast and prayers are offered for the protection of health and prosperity. Devotees avoid meat, alcoholic drinks, grains, wheat and onion during this fast. Navratri is also a period of introspection and purification, and is traditionally an auspicious and religious time for starting new ventures.